Tune in to The Beat every Tuesday, Thursday and Saturday from 8-9:30 p.m. for “TrakkRecord Sports”. 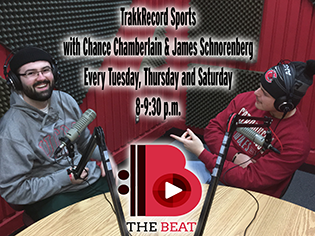 “TrakkRecord Sports” with hosts James Schnorenberg and Chance Chamberlain is a podcast providing statistics, opinions, and hot takes about all things surrounding the sports world. 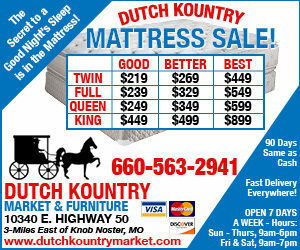 Whether it be football, basketball, baseball, or anything in between, we have got you covered. International students across the United States must overcome obstacles domestic students have never dreamed of. Junice Savares shares their stories in "Hidden Barrier." 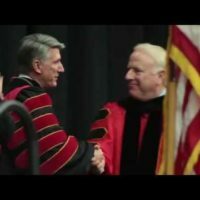 University of Central Missouri student Patrick Cymer and one of his high school classmates of created a computer repair business in Warrensburg. 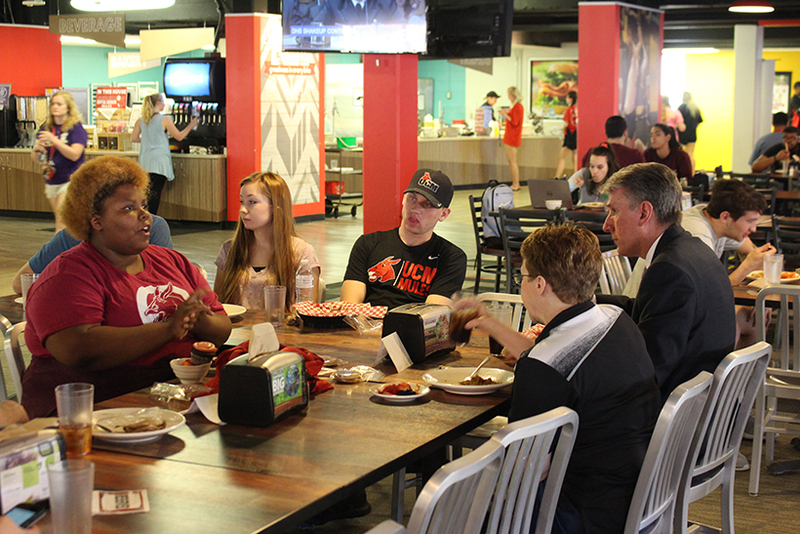 Adrianna Mildren sat down with Patrick to learn more about PCMR in this edition of "Faces of UCM". Faces of UCM is a production of the UCM Digital Media Production program and students in enrolled in the introductory Multicamera Studio Production course. The 2017-2018 UCM Jennies won their second national title in NCAA Division II. They got their first home win on November 17 when they showed the tough defense and opportunistic offense that would be a hallmark of their season. Enjoy this UCM Classic -- the UCM Jennies vs. the William Jewell Cardinals. UCM Classic is a production of the University of Central Missouri Digital Media Production program, game coverage provided by the sports broadcasting courses. In this episode of Films from the Public, Ryan Sheehan shares some of the history and controversy surrounding the 1953 film noir, "The Hitch-Hiker."